Thai cuisine offers the ideal balance of sweet, savory, salty and bitter flavors, with just a hint of spice. It's this balance that the recipe below exemplifies, with a combination of grainy quinoa and bright, raw vegetables. A Thai-influenced dressing really sets it apart. This salad is the ideal lunch to take to work, as it only improves with time. 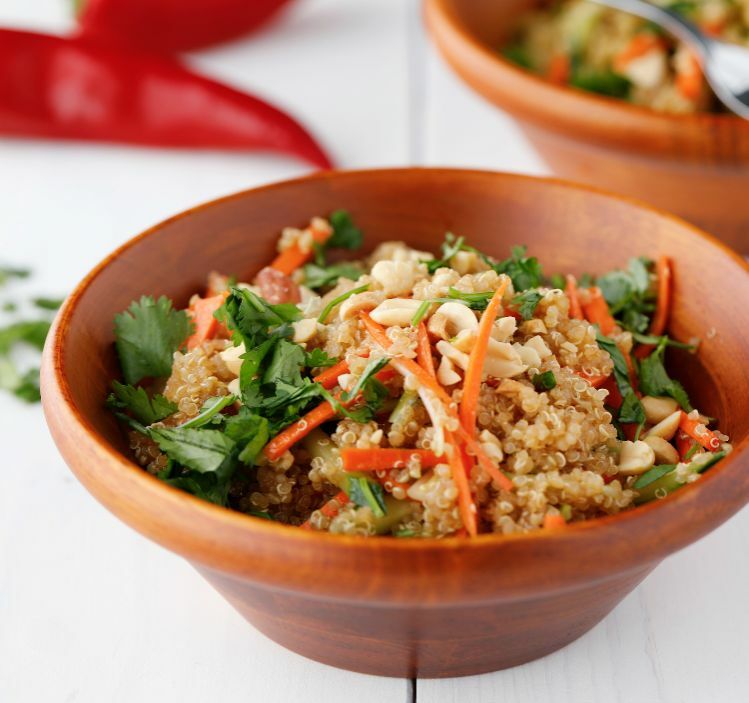 As the dressing soaks into the quinoa, it becomes even richer in flavor. Consider sprinkling the peanuts over the top at the last minute if you're making this salad in advance to keep them fresh and crunchy. 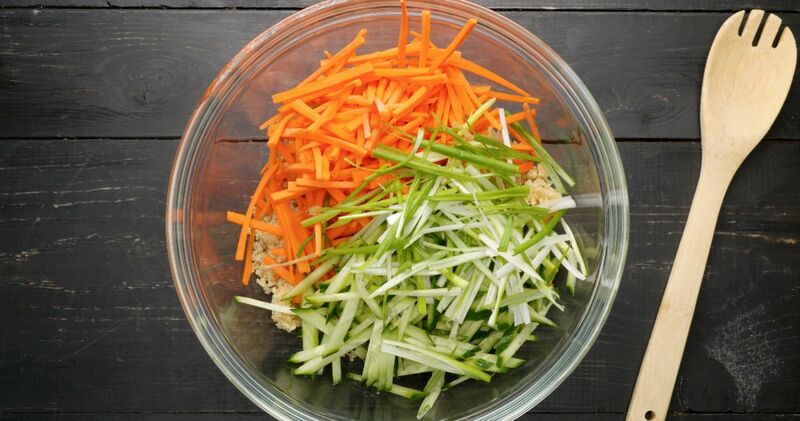 Combine the quinoa and vegetables in a bowl. Whisk together the vegetable oil, lime juice, soy sauce, brown sugar, tamarind paste and garlic. Drizzle over the salad and toss well to combine. Sprinkle the cilantro, peanuts and chili over the top (if using) and serve.